The concept of competencies is crucial for evaluating educational systems as well as for basic research in education. 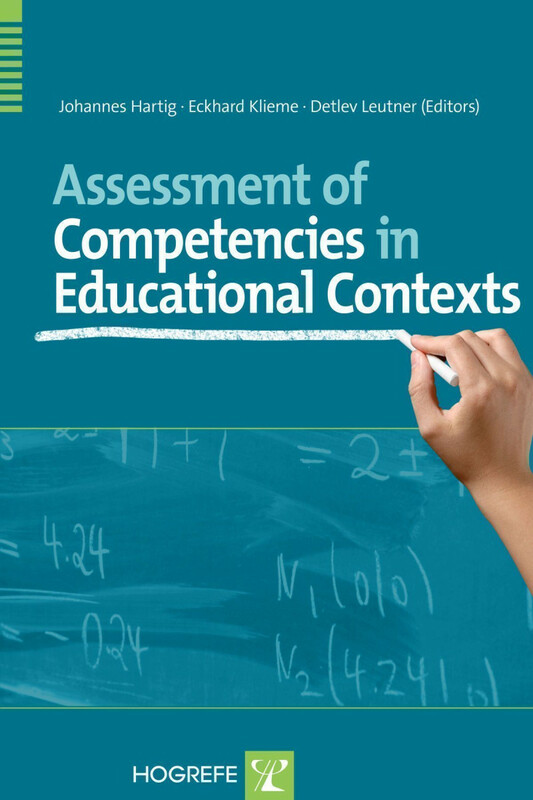 This book covers current theoretical, psychometric, and practical issues related to the assessment of competencies in a variety of educational settings. Leading researchers from around the world contribute their expertise from different research fields. The first part of the book provides theoretical perspectives on the concept of competencies in educational contexts, as well as on developmental models. The second part deals with psychometric models for assessing and predicting competencies and measuring change. In addition, practical issues such as test construction, computer-based assessment, feedback options, and the implementation of assessment tools in school contexts are addressed. lso discussed is large-scale assessment of competencies for the monitoring of educational quality. The book provides a valuable tool for researchers interested in the theoretical and psychometric background of assessment as well as for readers interested in practical aspects of assessment and evaluation in educational or vocational contexts, such as policy makers, teachers, and school administrators. "The book is valuable for anybody dealing with assessment of competencies in educational settings. It is intended for educational researchers, policy makers, teachers, school administrators, and all others interested in current methods of pedagogical and psychological evaluation."